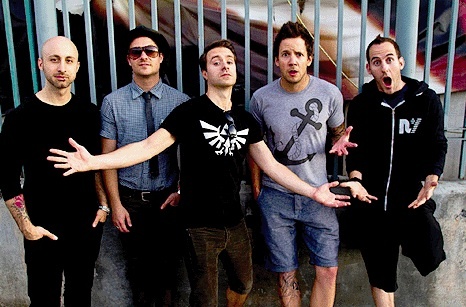 Simple Plan are set to premiere a brand new song from their long-awaited fifth-studio album next week! Guitarist Sebastien Lefebvre and co-host Patrick Langlois confirmed the news last night (June 17) on their radio show Man Of The Hour, telling listeners that the new track will air on next week's broadcast. If you want to hear the first-play of Simple Plan's new song, you can tune in on Wednesday, June 24th at 8pm EST on Idobi Radio. The Canadian pop-rock quintet's new album is expected to be released later this year.